HealthCompare is giving power back to consumers by arming them with knowledge that has, until now, been confusing and ambiguous. Armed with a new comprehensive glossary health insurance shoppers can now get the information they need to make good decisions on their own. Health insurance terms have been creating confusion for consumers for years. The nationally recognized health insurance comparison site, HealthCompare, is now working to empower them with the knowledge they need to make effective decisions in their health care coverage. Armed with a new comprehensive glossary health insurance, shoppers can now get the information they need to make good decisions on their own. 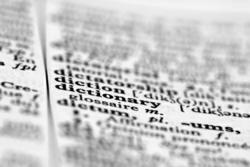 The glossary covers common terms like premiums, deductibles, and copays, but it also covers terms like actuary and qualifying event. The goal is to put power in the hands of the consumers so they can shop for their free health insurance quotes with confidence. About Health Compare: HealthCompare was launched in 2009 to work with brokers and carriers to help individuals and families easily research, compare, buy, and enroll in the right health insurance plan at the right price. Based in Orange, Calif., it delivers accurate, customized, health insurance quotes for the country's diverse population. Through a unique partnership with its sister company, CONEXIS, HealthCompare has the ability to quickly reach thousands of COBRA-qualifying consumers and provide them with COBRA alternatives at the moment they become eligible for COBRA benefits. This provides these consumers with an opportunity to enroll in individual or family plans and potentially save hundreds to thousands of dollars on COBRA premiums and, at the same time, rewards referring brokers with referral fee income for the life of each policy. For more information, visit http://healthcompare.com/ or call 888.748.5152.